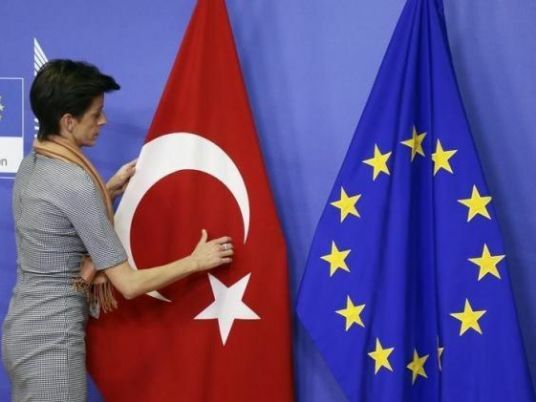 PASSAU, Germany (Reuters) – Turkey cannot become a member of the European Union, said Manfred Weber, the European Peoples Party’s (EPP) lead candidate for the upcoming European elections, adding that he would end accession talks if he becomes European Commission president. The Turkish government says EU membership remains one of its top strategic goals even though accession talks, formally launched in 2004, have been stalled for years. Weber, the center-right EPP candidate to be EU Commission President after European Parliament elections in May, told German conservatives in Bavaria “everyone wants good relations with Turkey, everyone wants to work closely together”. “But if I become Commission president, then I will instruct the offices in Brussels to end the talks with Turkey on accession to the European Union,” he said to rapturous applause. “Turkey cannot become a member of the European Union, let’s make that clear,” Weber added. In October, President Recep Tayyip Erdogan said he would consider putting his country’s long-stalled bid to join the EU to a referendum, signaling exasperation with a process he says has been waylaid by prejudice against Muslims.